Last week, Google’s Chrome browser became the world’s most popular browser for the first time, topping the charts for just a single day (on a Sunday no less) as it continues to see increased usage all over the world. 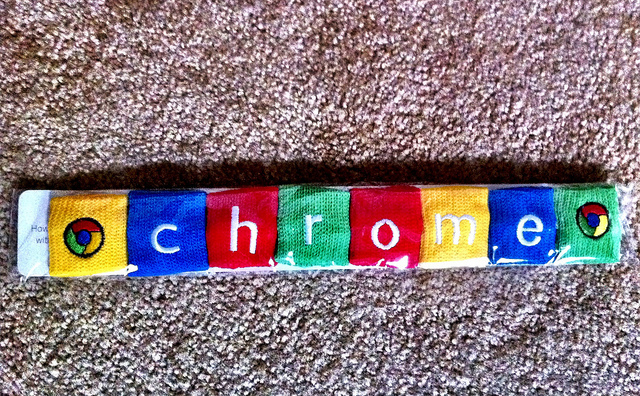 Chrome’s growth was charted by website analytics service StatCounter, which noted that on March 18, Chrome became the world’s number one browser for the day, as it overtook its rivals — Microsoft’s Internet Explorer and Mozilla’s Firefox — in India, Russia and Brazil. Accounting for 32.71% of browser usage, Chrome topped the charts, narrowly edging Internet Explorer into second place with a 32.5% share. 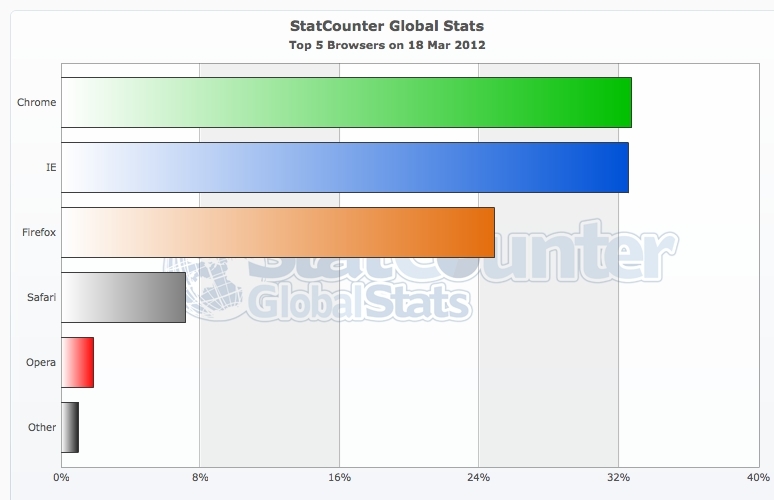 Firefox ranked in third with 24.81%, leaving Safari (7.13%) and Opera (1.86%) lagging far behind. In December 2011, we reported that Chrome overtook Mozilla Firefox in terms of global usage for the first time, slightly edging out its rival, as Internet Explorer continued to dominate. Chrome’s browser market share had grew 4.66% over two years to hit 25.69%, beating Firefox’s 25.23% share to capture second place. Microsoft’s Internet Explorer continued to dominate usage statistics, gaining slightly in the past couple of weeks to hold a 40.63% share. Google has been pushing its Chrome browser in billboard posters, partly in TV adverts and has been bundling within popular software downloads, helping to increase its userbase. Running lighter than its rivals and boasting speed improvements, Chrome has become the browser of choice for many and today’s report shows how far it has come. StatCounter’s statistics are captured using a tracking code is installed on more than 3 million sites globally, claiming 15 billion page views per month (4 billion originating from the US).